Sep 25, 2008 - was found to induce apoptosis in the BV-2 microglial cell line after ..... 62. Nguyen H, Ramana CV, Bayes J, Stark GR: Roles of phosphatidyli-. MARVIN J. GRUBMAN AND DONALD F. SUMMERS. Departments of Microbiology and Immunology ...... Sokol, and R. Macleod. 1972. Classification of rhab-. Feb 27, 2014 - ... 2Amusa S. Adebayo*, 3Deon Bennett, 4Roy Porter, and 1Janet Shelly- ..... Modupeola Abayomi, Amusa S. Adebayo, Deon Bennett, Roy. annual vine with long-stalked leaves and yellow, ... A leaf tea is used to treat diabetes, to expel intestinal .... the number of free radical was measured, reading. Sep 29, 2017 - Carissa carandas (L.) belonging to the Apocynaceae family and it is represented about 89 species ..... experts Book Agency, New Delhi, 1991:. Products 1 - 29 - a]benzimidazole, antiproliferative activity in vitro. 951 ... Higher activities possess isatin-benzimidazole ...... to make a broader SAR discussion. Acetaminophen is a synthetic non-opiate derivative of Ï-aminophenol, hile ibuprofen is one of phenyl propionic acid derivatives. These chemical agents have. Table 1. 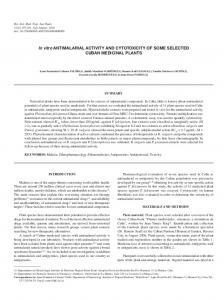 List of medicinal plant species tested for antimalarial activity. Specie (Family) .... on consideration of chemotaxonomic relationships and the exploitation. Abedi GR, Watson JT, Pham H, Nix WA, Oberste MS, Gerber SI. Enterovirus and human ... Paul S, Chakraborty S, Mukherjee A, Kundu R. Evaluation of cytotoxicity and ... John TA, Onabanjo A. Gastroprotective effects of an aqueous extract of. falcata leaves (at doses of 300 mg/Kg), phenylbutazone as standard drug showed decreased formation of granuloma tissue by 51%, 48%, 53% respectively. Apr 18, 2009 - dered material was extracted with methanol (70 %) by ... 2.5ml of upper layer solution was taken and mixed ... with intermittent shaking. MAPK14 in autophagic processes, and indicate that inhibition of MAPK14 enzyme activity ... the autophagy-lysosomal pathway is therefore an interesting tar-. 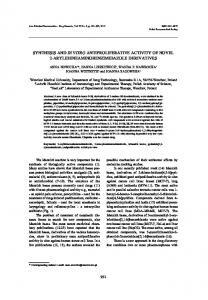 JOURNAL OF BACTERIOLOGY, Jan. 2002, p. 525–530 0021-9193/02/$04.00⫹0 DOI: 10.1128/JB.184.2.525–530.2002 Copyright © 2002, American Society for Microbiology. All Rights Reserved. In the early stages of symbiosis between the soil bacterium Sinorhizobium meliloti and its leguminous host plant, alfalfa, bacterial nodulation (nod) genes are controlled by NodD1, NodD2, and NodD3, members of the LysR family of transcriptional regulators, in response to flavonoid and other inducers released by alfalfa. To gain an understanding of the biochemical aspects of this action, epitope-tagged recombinant NodD1 and NodD3 were overexpressed in Escherichia coli. The DNA binding properties of the purified recombinant NodD proteins were indistinguishable from those of NodD isolated from S. meliloti. In addition, the E. coli GroEL chaperonin copurified with the recombinant NodD proteins. In this study, we showed that NodD proteins are in vitro substrates of the GroESL chaperonin system and that their DNA binding activity is modulated by GroESL. This confirmed the earlier genetic implication that the GroESL chaperonin system is essential for the function of these regulators. Increased DNA binding activity by NodD1 in the presence of luteolin confirmed that NodD1 is involved in recognizing the plant signal during the early stages of symbiosis. (11, 12). While in vivo studies using reporter fusions have shown that NodD1-dependent activation of nod gene expression requires flavonoid inducers, this has not been demonstrated in vitro, nor has direct binding of flavonoids to NodD protein been shown. Thus, the mechanism of NodD-mediated nod gene expression remains unclear. The GroESL chaperonin system, functioning as a tetradecamer of GroEL and a heptamer of GroES, forms a protein complex that associates with approximately 10% of Escherichia coli cytoplasmic proteins and facilitates folding and unfolding of proteins to their native forms in the presence of Mg2⫹ and ATP (7, 8, 21). In previous studies, we found that GroESL copurified with NodD1 and NodD3 from S. meliloti (10, 29). Genetic screening for other components involved in NodDmediated nod gene expression in S. meliloti revealed that a chromosomal copy of groESL is required (29). In addition, the DNA binding activity of NodD in a cell extract decreases in a groESL mutant background (29). Both genetic and biochemical results strongly suggest that the GroESL chaperonin system is involved in the folding and/or assembly of active NodD proteins to facilitate the regulation of nod gene expression. In this study, we investigated the biochemical properties of recombinant NodD1 and NodD3, including the effect of luteolin on the DNA binding activity of NodD1, and the involvement of GroESL in NodD protein folding. J. BACTERIOL. visualized and/or quantitated by autoradiography and/or phosphorimaging (BioRad GS-363 system). RESULTS Recombinant NodD proteins bind the nodF nod box. For purposes of clarity, we chose to compare and contrast two proteins: NodD1, which is the best-studied example of a flavonoid-dependent transcriptional activator, and NodD3, the best-studied inducer-independent form of this protein family. Previous biochemical and genetic studies showed that a functional GroESL chaperonin system is required for NodD to activate transcription at nod gene promoters (29). We asked whether GroEL and GroES are required for in vitro activity of purified NodD proteins. To do this, we purified NodD from an E. coli strain that was also overexpressing E. coli GroES and GroEL. We hypothesized that the elevated levels of GroESL would increase the solubility of the recombinant NodD, resulting in the production of active NodD proteins. Both recombinant NodD1 and NodD3 were expressed at their expected molecular sizes (33 and 35 kDa, respectively) (Fig. 1A). The purification yield was approximately twofold higher for both NodD proteins when coexpressed with GroESL (data not shown). A 60-kDa E. coli protein copurified with both NodD1 and NodD3 (Fig. 1A). We determined the amino-terminal sequence of this protein and confirmed that it was the molecular chaperonin GroEL (data not shown). Using amino-terminal sequencing, we also identified a 70-kDa protein in the affinity-purified NodD3 preparation as the heat shock protein DnaK (data not shown). We failed to detect significant amounts of GroES by Coomassie blue staining (Fig. 1A). Trace amounts of DnaK were detected in the NodD1 preparation. Taken together with results of our previous genetic studies (29), these data suggest that GroES, GroEL, and DnaK directly interact with both NodD1 and NodD3. To examine whether the affinity-purified recombinant NodD proteins were active, we measured DNA binding by EMSA. Affinity-purified recombinant NodD1 and NodD3 could bind the nodF nod box (Fig. 1B). Formation of the NodD-nod box complex was previously shown only with NodD isolated from S. meliloti cells (10, 11, 29). GroESL modulates the DNA binding activity of NodD1. A direct interaction between GroESL and NodD implicates the chaperonin system in the potential regulation of NodD. In other systems, addition of GroESL, K⫹, Mg2⫹, and ATP to unfolded proteins has shown that the protein can refold through a series of cycles of dissociations of polypeptide ligands from preformed complexes (24a). To address this possibility here, a GroESL cycling system, as described in Materials and Methods, was incubated with purified NodD prior to performance of the DNA binding assay. We predicted that by activating the chaperonin system in vitro, some of the NodD that was in a form that was not competent to bind DNA would be correctly folded into an active form and thus made available for DNA binding. As predicted, preincubation of the chaperonin cycling system with NodD3 resulted in a 60% increase in its ability to bind the regulatory nod box sequence (Fig. 2B). To our surprise, however, incubation with the chaperonin cycling system decreased the DNA binding activity of NodD1 (Fig. 2A). This decrease in the binding activity of NodD1 was not due to a lowering of NodD1 protein levels, as determined by examination of Coomassie-stained SDS gels (data not shown). FIG. 1. Affinity purification and DNA binding activity of recombinant NodD1 and NodD3. (A) Strep-tag-purified protein preparations were resolved by SDS-PAGE and stained with Coomassie blue R250. Molecular size standards (in kilodaltons) are indicated (MW). (B) EMSA was performed by mixing purified recombinant NodD1 (100 ng) or NodD3 (200 ng) with an end-labeled nodF nod box DNA fragment as described in Materials and Methods. The negative (⫺) and positive (⫹) controls show the migration of the DNA fragment in the absence or presence of excess S. meliloti NodD3 (12), respectively. The arrow indicates the single electrophoretically retarded complex. FIG. 2. In vitro GroESL chaperonin treatment affects the DNA binding activity of NodD proteins. Purified recombinant NodD1 (A) and NodD3 (B) were preincubated with the GroESL chaperonin cycling system for the indicated time periods prior to EMSA. The samples were then mixed with labeled nod box DNA fragment and incubated an additional 10 min at room temperature before being loaded onto native polyacrylamide gels. Note that chaperonin-dependent cycling is ongoing throughout this second incubation period before electrophoresis commences. As a control, DNA binding activity in the absence of the chaperonin cycling system was measured (⫺). Autoradiographs were scanned, and the relative amount of shifted complex normalized to the control is indicated at the bottom of each lane. FIG. 3. Luteolin-stimulated DNA binding activity of NodD1 is dependent on GroESL treatment. (A) EMSA was performed with preparations of NodD1 (left and middle panels) and NodD3 (right panel) in the presence (⫹) or absence (⫺) of the GroESL cycling system (GroE) and/or luteolin. The arrow indicates the single electrophoretically retarded complex. (B) Dosage response of luteolin-stimulated DNA binding activity of NodD1. The indicated concentrations of luteolin were added to NodD1 that had been pretreated with the GroESL cycling system prior to EMSA. The bar graph represents the relative amounts of retarded complex based on phosphorimager quantification. FIG. 4. The GroESL chaperonin system and luteolin are responsible for formation of active NodD1. (A) Affinity-purified NodD1 was further fractionated by SEC-HPLC as described in Materials and Methods. The indicated fraction was collected and concentrated for SDS-PAGE analysis (B) and EMSA experiments (C). The secondary peak at 7.3 min is diaminobiotin (data not shown). Molecular size standards (in kilodaltons) are indicated in panel B (MW). (C) EMSA was performed following treatment with (⫹) or without (⫺) GroES, ATP, and/or 10 ␮M luteolin as indicated. (D) EMSA was similarly conducted with SEC-HPLC-purified NodD3 after treatment with (⫹) or without (⫺) GroES, ATP, and/or luteolin. The arrow indicates the single electrophoretically retarded complex. alleles of diverged flavonoid specificity are involved in host-dependent nodulation by Rhizobium meliloti. Mol. Gen. Genet. 212:85–92. 16. Gyorgypal, Z., and A. Kondorosi. 1991. Homology of the ligand-binding regions of Rhizobium symbiotic regulatory protein NodD and vertebrate nuclear receptors. Mol. Gen. Genet. 226:337–340. 17. Gyorgypal, Z., E. Kondorosi, and A. Kondorosi. 1991. Diverse signal sensitivity of NodD protein homologs from narrow and broad host range rhizobia. Mol. Plant-Microbe Interact. 4:356–364. 18. Hong, G. F., J. E. Burn, and A. W. B. Johnston. 1987. Evidence that DNA involved in the expression of nodulation (nod) genes in Rhizobium binds to the product of the regulatory gene nodD. Nucleic Acids Res. 15:9677–9690. 19. Honma, M. A., and F. M. Ausubel. 1987. Rhizobium meliloti has three functional copies of the nodD symbiotic regulatory gene. Proc. Natl. Acad. Sci. USA 84:8558–8562. 20. Horvath, B., C. W. B. Bachem, J. Schell, and A. Kondorosi. 1987. Hostspecific regulation of nodulation genes in Rhizobium is mediated by a plant signal interacting with the nodD gene product. EMBO J. 6:841–848. 21. Houry, W. A., D. Frishman, C. Eckerskorn, F. Lottspeich, and F. U. Hartl. 1999. Identification of in vivo substrates of the chaperonin GroEL. Nature 402:147–154. 22. Kosslak, R. M., R. Bookland, J. Barkei, H. E. Paaren, and E. R. Appelbaum. 1987. Induction of Bradyrhizobium japonicum common nod genes by isoflavones isolated from Glycine max. Proc. Natl. Acad. Sci. USA 84:7428–7432. 23. Laemmli, U. K. 1970. Cleavage of structural proteins during the assembly of the head of bacteriophage T4. Nature 227:680–685. 24. Long, S. R. 1996. Rhizobium symbiosis: nod factors in perspective. Plant Cell 8:1885–1898. 24a.Martin, J., and F. U. Hartl. 1997. Chaperonin-assisted protein folding. Curr. Opin. Struct. Biol. 7:41–52. 25. Maxwell, C. A., U. A. Hartwig, C. M. Joseph, and D. A. Phillips. 1989. A chalcone and two related flavonoids released from alfalfa roots induce nod genes of Rhizobium meliloti. Plant Physiol. 91:842–847. 26. McIver, J., M. A. Djordjevic, J. J. Weinman, G. L. Bender, and B. G. Rolfe. 1989. Extension of host range of Rhizobium leguminosarum bv. trifolii caused by point mutations in nodD that result in alterations in regulatory function and recognition of inducer molecules. Mol. Plant-Microbe Interact. 2:97– 106. 26a.Mogk, A., G. Homuth, C. Scholz, L. Kim, F. X. Schmid, and W. Schumann. 1997. The GroE chaperonin machine is a major modulator of the CIRCE heat shock regulon of Bacillus subtilis. EMBO J. 16:4579–4590. 27. Mulligan, J. T., and S. R. Long. 1989. A family of activator genes regulates expression of Rhizobium meliloti nodulation genes. Genetics 122:7–18. 28. Mulligan, J. T., and S. R. Long. 1985. 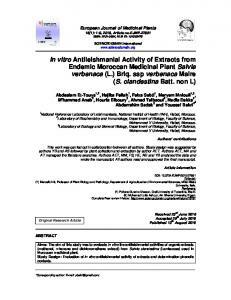 Induction of Rhizobium meliloti nodC expression by plant exudate requires nodD. Proc. Natl. Acad. Sci. USA 82:6609–6613. 29. Ogawa, J., and S. R. Long. 1995. The Rhizobium meliloti groELc locus is required for regulation of early nod genes by the transcription activator nodD. Genes Dev. 9:714–729. 30. Peters, N. K., J. W. Frost, and S. R. Long. 1986. A plant flavone, luteolin, induces expression of Rhizobium meliloti nodulation genes. Science 233:977– 980. 31. Phillips, D. A., F. D. Dakora, E. Sande, C. M. Joseph, and J. Zon. 1994. 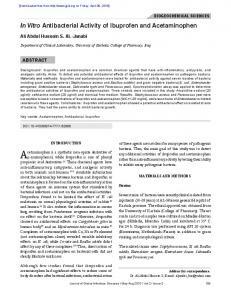 Synthesis, release and transmission of alfalfa signals to rhizobial symbionts. Plant Soil 161:69–80. 32. Putnoky, P., and A. Kondorosi. 1986. Two gene clusters of Rhizobium meliloti code for early essential nodulation functions and a third influences nodulation efficiency. J. Bacteriol. 167:881–887. 33. Rushing, B. G., M. M. Yelton, and S. R. Long. 1991. Genetic and physical analysis of the nodD3 region of Rhizobium meliloti. Nucleic Acids Res. 19:921–927. 34. Sanchez, E. R., S. Meshinchi, W. Tienrungroj, M. J. Schlesinger, D. O. Toft, and W. B. Pratt. 1987. Relationship of the 90-kDa murine heat shock protein to the untransformed and transformed states of the L-cell glucocorticoid receptor. J. Biol. Chem. 262:6986–6991. 35. Schell, M. A. 1993. Molecular biology of the LysR family of transcriptional regulators. Annu. Rev. Microbiol. 47:597–626. 36. Schmidt, T. G. M., and A. Skerra. 1994. One step affinity purification of bacterially produced proteins by means of the strep tag and immobilized recombinant core streptavidin. J. Chromatogr. 676:337–345. 37. Spaink, H. P., C. A. Wijffelman, R. J. H. Okker, and B. E. J. Lugtenberg. 1989. Localization of functional regions of the Rhizobium nodD product using hybrid nodD genes. Plant Mol. Biol. 12:59–73. 38. Spaink, H. P., C. A. Wijffelman, E. Pees, R. J. H. Okker, and B. J. J. Lugtenberg. 1987. Rhizobium nodulation gene nodD as a determinant of host specificity. Nature 328:337–340. 39. Yeh, K. C., S. H. Wu, J. T. Murphy, and J. C. Lagarias. 1997. A cyanobacterial phytochrome two-component light sensory system. Science 277:1505– 1508. 40. Zaat, S. A. J., C. A. Wijffelman, H. P. Spaink, A. A. N. Van Brussel, R. J. H. Okker, and B. J. J. Lugtenberg. 1987. Induction of the nodA promoter of Rhizobium leguminosarum Sym plasmid pRL1JI by plant flavanones and flavones. J. Bacteriol. 169:198–204. 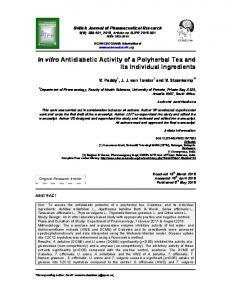 Report "Luteolin and GroESL Modulate In Vitro Activity of NodD - Journal of ..."